I am a University of Cambridge graduate and native English speaker. I've tutored English for over 15 years with all my long-term students attaining A-A* grades at GCSE, A-Level and equivalent. Under the new 9-1 GCSE specifications, 100% of my pupils attained 9-7 grades (A/A* equivalents) in both 2017 and 2018. I have experience of teaching English Literature and Language to GCSE level in the independent school sector, and I also run my own tutoring company as well as being a (now non-practising) UK Solicitor, having spent several years working in the legal field before choosing to focus exclusively on teaching. My classroom teaching at secondary school level was consistently verified as 'Outstanding' and 'Excellent' in formal observations for Ofsted by the school's Headteacher. After graduating from Gonville & Caius College, University of Cambridge, I initially worked in Canary Wharf at one of the top two 'magic circle' law firms, before I moved to Berkshire to work for a major UK charity and then the legal non-profit sector. In my spare time, I've served as Editor and Copy-Editor for a variety of publications, websites and magazines over the years. In addition to my love of teaching, I also enjoy reading, yoga, meditation, walking, the English countryside, and quality time with friends and family. I have a particular passion for teaching English Literature and Language. I specialise in teaching and videotutoring exam technique for pupils aged 12-18 and adult learners. I have plenty of experience of teaching English Literature at GCSE, iGCSE, A-Level, Pre-U, & their equivalents. I additionally help pupils prepare for 14+ SATS English exams, the Common Entrance tests, university entrance requirements, BMAT and LNAT, Driving Theory tests, and a wide range of other written tests. I also continue to teach Law from undergraduate/postgraduate to professional level. My pupils include a range of LLB and other pupils from Russell group and other leading UK universities. I personally attained nine A* grades in all of my GCSE examinations, and scored four extremely high A-Grade results in all of my four A-Level subjects, both at AS and A2 Level. The A* level grade for AS and A2-Level was, of course, introduced several years after I obtained my qualifications. I also scored the highest results in my school and was awarded local prizes for three of my four A-Level subjects, namely English Literature, French, and Government & Politics. I believe there are particular secrets to success that can be acquired and taught. A great personal tutor with a proven track record of success will help the pupil to enjoy the subjects they currently find difficult, whilst simultaneously maximising the pupil's potential and exam performance, regardless of the quality of teaching at school or the pupil's previous performance in tests and examinations. I have been teaching a number of subjects (including GCSE English, Maths and French) since the late 1990s. I commenced teaching at A-Level and beyond in 2008. I also have ample experience of teaching Law to pupils attending Russell Group universities such as LSE, Edinburgh University and others. I also teach pupils studying Law and postgraduate Law at other well-established universities across the UK. I understand that increasing confidence in a subject and attaining higher grades or a better pass mark is often a key motivating factor for seeking tuition. Some of my more interesting pupils' accomplishments include an A-Level student who sought lessons to help with her AS English Literature resit and, following less than a year of lessons, improved from a U Grade to a high A-grade in both her resits and her A2 (A-Level) English exams. Another such pupil seeking help with resits improved from a D-grade to an A-grade at A2 level within one year of lessons. My longterm GCSE & AS/A2 and equivalent level students almost always score A*-A passes and their equivalents on the new 9-1 exams, regardless of initial ability or examination grades prior to commencing lessons. As a lawyer and qualified Solicitor in England and Wales, I have been teaching and training lawyers and other professionals at charities and not-for-profit sector organisations for over five years. I tutor Law up to and beyond postgraduate level, including a wide range of Law undergraduate, LPC & GDL subjects. I have recent experience of working as a secondary school English teacher and of teaching GCSE year groups and Key Stage 3 pupils. I also have experience of teaching younger pupils including KS2 pupils and pre-school children. I have ample experience of teaching pupils who are learning English as a second language, including experience of teaching classrooms with up to 45% of pupils learning English as a second language, and I am experienced in working with pupils with special educational needs. One of my notable accomplishments with young children was teaching a 2 year old how to read independently in English using phonetics. I am always delighted to hear from parents who would like to give their children an early head-start. At Cambridge University, I was Editor of the Law Society Magazine for almost three years, President of the CUPS, and I was also an Access Officer for Gonville & Caius College, which provided me with a unique insight into the Oxbridge admissions process. I feel privileged to be able to impart these insights to my pupils. I have been offering assistance with UCAS personal statements and Oxbridge applications, as well as general education consultancy, for over 13 years with approximately 75% of my mentees securing offers from the Universities of Oxford and Cambridge and approximately 100% securing offers from Russell Group universities. My mentees have successfully secured places to study Medicine, Law, Economics, Engineering, Humanities and a wide array of other subjects. I specialise in teaching exam preparation and exam technique, as well as re-sit preparation, using a variety of interactive methods suited to the individual student. The most popular methods I use include online tuition, and face-to-face tuition, both of which my pupils find highly effective and enjoyable. Facetime lessons are currently a very popular choice with pupils and parents with busy schedules, as these save on travelling time. I have a friendly and approachable outlook, and believe in offering a tailored programme combined with a flexible and compassionate approach, assessing each pupil's individual needs at the outset. I enjoy seeing my pupils making remarkable progress not only academically, but also in their confidence and enjoyment of their studies. I also run Summer and Christmas holiday revision intensive courses, on a first come first serve basis. £749+ Platinum - CV Review & Interview skills. I also offer Business Development, Practical Contract Law & Leadership training, for both individuals and companies. Please enquire for details. All other lesson rates are available to view opposite. Most of my pupils choose to attend lessons online (currently the most popular method) or face-to-face at my home-office in the quaint, historic village of Colnbrook. I do also offer to travel to local locations for lessons for a small additional fee. Colnbrook village is served by good public transport links to the Piccadilly Line into London and surrounding areas. It is also easily accessible by car from the M4, and is close to Windsor and Slough. I have a recent, valid Enhanced DBS/CRB certificate for the last few years, and parents are most welcome to request to view these and any of my Cambridge degree certificates or A-Level/GCSE transcripts. I understand that finding a new tutor can be a challenging process; parents of younger children may sit in and observe the first lesson, and I warmly encourage parents to ask any questions! 2002 School A-Levels (All four at A-Grade, including English Literature). I tried to connect with her expressing my requirements to which she readily agreed. After I paid my fees to the company , she never bothered to answer my emails. It was a pleasure speaking with you earlier this afternoon. I am sorry we were unable to resolve this to your satisfaction. The £24.99 referral fee you paid goes directly to First Tutors. Please note that no part of this fee was or will be paid to me or my own company. When I first communicated with you by message exchange on First Tutors you mentioned that you were looking for some assistance with preparing for interview and did not mention that you would like me to write your assignments for you. However, after your contact details arrived from First Tutors, I telephoned you for your initial (free) consultation during which time we spoke for around 45 minutes. You then notified me that you are required to submit two written assignments which will be assessed, and you want your tutor to 'basically write' both assessment pieces for you. Unfortunately, and as I am sure you can understand, I felt required to decline to write your assignments for you on ethical and moral conduct grounds. I advised that I would, naturally, be pleased to help you to write the pieces or to help you improve upon your own work if you have already started to draft the pieces. You then advised me that you had very little time until your deadline (less than a week) and you had not started work on either of your two assessed pieces of writing. You were reluctant to book lessons once I said I would not be able to write your assessments for you. I then suggested that it would be sensible, and far more ethical, for you to let me know once you've made some progress with the assignments and once you had ideally completed some work on your drafts, so we could then arrange your lesson(s) and so I could help you to improve upon your work. I did not hear from you further after this point despite following up by telephone and voicemail several times. In terms of timings and my responsiveness, I accepted your request for lessons and followed up by telephone and email to arrange your first lesson within 72 hours. Your request for lessons arrived after working hours at around 10:45pm on Friday evening and I replied to you on the next working day, on Monday, just before noon. First Tutors allows its tutors 10 days to respond to new tutees after the referral has been made and contact details sent to the tutor. This is why First Tutors, after looking into this matter, decided not to refund you the Admin Fee which you paid them. However, I would still like to thank you for taking the time to write the above feedback, as it helps me to provide a better service to my other pupils. I am sorry that the referral was not suitable for you on this occasion and I hope this will not deter you from booking lessons with myself should you require any assistance in the future. I sincerely hope you fared well with both your assignments and wish you the very best of luck with all your future endeavours. Saba has shown remarkable knowledge in punctuation and grammar. She has helped enhance my skills so that I am able to be a more effective English teacher to my pupils. I would highly recommend her! Thank you for the positive feedback Sajid, these are very kind words indeed. It was a pleasure teaching you and I wish you all the very best for your teaching career! Saba has been a great support to my son who has just sat his English GSCE exams, under the new 9-1 curriculum. She gave him help with exam technique and preparation, which made a real difference to his confidence. Saba has a friendly and patient nature and works with professional. Thank you ever so much Nicky for the kind feedback, I really appreciate it. Was an absolute pleasure teaching Roman. He is impeccably courteous, well behaved and eager to learn. An ideal pupil! Am so glad the booster lessons helped. Saba is very thorough and her approach and teaching manner is professional but friendly. She is currently helping our daughter with the new GCSE English Literature curriculum as the school are lagging behind with the new 1-9 GCSE curriculum and examination process. 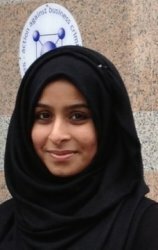 She has given her good techniques for essays and examinations plus increased her confidence. Thank you for the positive feedback, Mark. Really kind of you. Hannah is an absolute joy to teach; she is always punctual, well organised, and applies herself diligently to all her work. Saba is a top drawer tutor. If you want to survive the system and a totally professional experience from first contact, this is the lady you need for English. We could not recommend highly enough. We are very happy that Saba is helping us along on our journey to the finish line! Thank you for taking the time to write a review and for such positive feedback, Charlotte!